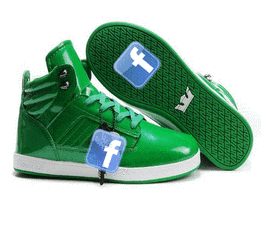 Facebook's IPO Morality Tale: If The Green Shoes Fit, Wear Them? Facebook's reversal of fortunes in such a short span of time has played out almost like a modern-day morality tale. The fall-out of the social network post-IPO, after such an enthusiastic build-up was telling. While it lined the pockets of some (namely investment bankers), it deprived the 99 Percenters (or Dumb F*cks as Zuckerberg so adroitly labeled them back in 2004) full-disclosure, resulting in a subsequent short-fall on their FB investment. In a time when excessive, unregulated profits continue to be eked out on Wall Street, does the Facebook IPO shed additional light on the reverse Robin-Hood business practice of taking from the poor and giving to the rich? It does appear that way if one was to fully understand what went down on May 18th. Apparently when Morgan Stanley put together the offer, they included one of the few SEC-permitted, risk-free options that allowed them to stabilize the pricing of FB's post-issue. Labeled the "greenshoe" option, this caveat permitted the investment banker to over-allot the number of public shares available. The term comes from the first company to use this draconian practice - Green Shoe Manufacturing (now called Stride Rite Corporation). Fuzzy math comes into play at this point, since it appears that Morgan Stanley and the other major underwriters sold more shares than they bought (basically what the greenshoe option allows them to do). This is done purposely, because it causes a "short" in the market which will then prompt an upward pressure on the share price. This however did not take place. Instead as everyone is now aware, FB's stock actually went south. But why? Well...on May 9th, Zuckerberg (lampooned for his 'fast shuffles' in the past) issued a revised prospectus that noted the negative impact of mobile users on Facebook's advertising revenue projections. With this new intel, Morgan Stanley, Goldman Sachs, JPMorgan and Bank of America "reduced" their FB earnings revenue estimates for the remainder of 2012. In a Reuters' release posted by Poornim Gupta and Alexel Oreskovic, the revised numbers were relayed to big investors via private phone calls. It was noted that Bank of America held a conference call on May 10 with analyst Justin Post, where the underwriter revealed the lower estimates. According to Rebecca Greenfield's report in the Atlantic Wire, "After days (months? years?) of hype, Facebook filed amended IPO documents with reduced revenue forecasts buried down on page 57." Without public disclosure, while the big boys received this "unfair advantage" in the words of Raise, Das and Chon, the general public was still over-reaching based on the zeitgeist fever pitch that motivated them to buy, irregardless of the price. "These people didn't know about the downgrades. And that's how the price got set too high. People on the Buddy Systemoutside wanted it at $42, people in the know wanted it at $32. So we got a compromised $38," noted Greenfield. And no one in the know was willing to share this intel. . . say, on a Facebook status update, perhaps? Nope, the well-healed "buddy system" was in place, and only the rich got richer. "Ordinary investors were largely cut out of the wealth-creation process, and well-connected investment firms took their place," explains John Cassidy in The New Yorker. "It all sounds suspiciously like an inside job, in which the last ones in, the ordinary investors, are the saps," he adds. So does walking away in "green shoes" leave Morgan Stanley et al in the clear? Well with an arcane SEC option that's almost 100 years old (first used in 1919), it appears to have given them the "green light" to conduct business in such a fashion. 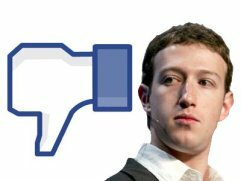 However with FB's stock price continuing to dip (to $US 31.57, at time of this posting), Facebook shareholders are not happy. And to voice their displeasure, they have just filed a class action suit against Facebook and Morgan Stanley. Filed by the same firm which won $7 billion from Enron bankers, Robbins Geller is taking up the fight for the Facebook users who feel maligned. While Zuckerberg's empire will most likely surface from this battle unscathed, this latest blow once again dampens the perception of Facebook by many of its 900 million followers. Still dissatisfied by FB's heavy-handed approach with privacy infractions of the past, this latest incident might ironically fulfill Zuckerberg's self-fulfilling prophesy - i.e., limited sales from cell phone ads in the future. Hell, if he was cognizant enough to lower expectations (based on this revenue source, or lack there-of) in his "undisclosed, revised" prospectus just 10 days prior to his IPO, who are we to prove him wrong. Could that (green)shoe finally be on the other foot? Insiders were 57% of the selling shareholders. That right there reeks of pigs at the trough. If insiders were say... 20% of selling shareholders this would probably never have happened. There used to be a saying, "you run a public company just as much for the benefit of the widow on Main St with one share as you do the money manager on Wall Street with a million shares." That didn't happen here. As of the close yesterday, public market investors had lost nearly $1.7 billion to Facebook insiders. That's not the way its supposed to work, folks. I think there's a new generation coming -those that have used it for last 3-4 yrs are getting bored and looking to find alternatives. Looking into some other altenatives also.